Quantities must be entered in increments of 6. Although the velvet piopparello mushroom has been cultivated for only a short while, it has quickly become a favorite among many chefs and mushroom enthusiasts. No matter what cooking preparation, this mushroom’s unique flavor shines through. 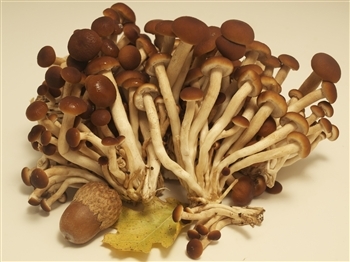 Its chocolate brown cap and off-white stem distinguish it from other similar mushrooms like forest nameko or beech mushrooms.